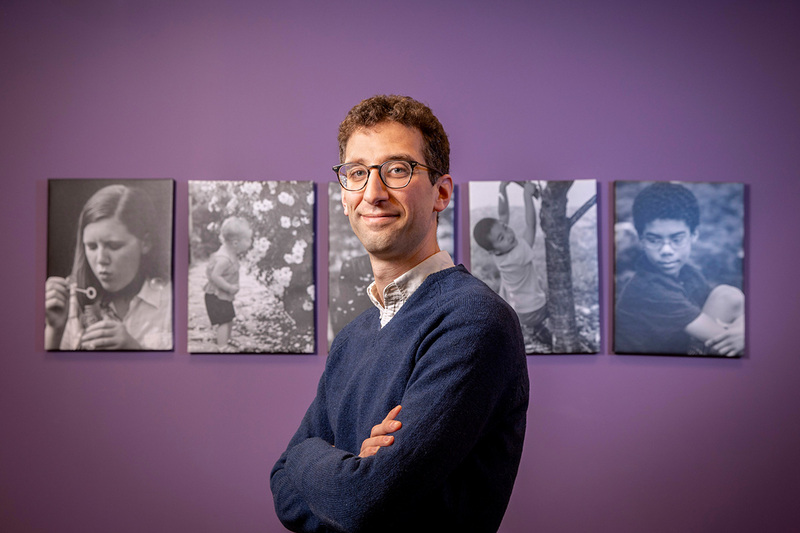 Feelings of economic insecurity and perceptions of income inequality influence parents’ endorsement of authoritarian practices such as spanking, according to research by University of Illinois social work professor William Schneider. CHAMPAIGN, Ill. — White parents who feel that they’re falling through the cracks of today’s economy may be more likely to believe in authoritarian parenting practices such as spanking and demanding obedience, a new study found. “Compared with the highest earners, whites who perceived themselves to be members of the lower or working class were 25 percent more likely to agree that ‘a good, hard spanking is sometimes necessary’ than similarly set black parents,” said University of Illinois social work professor William Schneider, who presented the findings at the annual conference of the Society for Social Work and Research, held recently in San Francisco. The study included more than 6,450 parents of young and school-aged children who participated in the U.S. General Social Survey during the period 1986-2016. Schneider and co-author Anika Schenck-Fontaine, a postdoctoral researcher at the Leibniz Institute, examined the impact of subjective and objective measures of income inequality on parents’ attitudes about spanking and child obedience. They also explored whether these objective markers and subjective perceptions influenced parental philosophies jointly or independently and if any racial differences existed. In addition to providing data on objective measures of income inequality such as their level of education and earnings, parents in the study also were asked how they thought their families’ income compared with other American families – i.e., far below average, average or above average – and which social class – lower, working, middle or upper class – they identified with. In comparison with families in the highest income category, parents in the middle were 25 percent more likely to endorse spanking, according to the study. However, adults’ subjective perceptions of their social class and economic well-being had far greater influence on their parenting philosophy than their actual socioeconomic status, according to the authors. Parents who perceived their incomes as being far below average were three times more likely to believe that obedience was very important, while parents who thought their income was average were about twice as likely to endorse that belief, Schneider said. “When we looked at subjective inequality, we also found that the racial differences became quite stark,” Schneider said. “White parents who perceived themselves as working class or lower class were much more likely to approve of authoritarian child-rearing practices than black parents who viewed themselves similarly. “We think that perhaps this harks back to a sense among white working-class and lower-class parents of being left behind by today’s economy, and this could be translating into actual parenting practices,” Schneider said. The differing perceptions that were identified among white and black parents and the various socioeconomic groups, and how these parents view their places in the overall economy and social structure, could be instrumental in designing targeted services and interventions for such families, Schneider said. Authoritarian parenting – which places a high value on children’s adherence to strict rules and obtaining compliance through corporal punishment – has been associated with a number of adverse outcomes for children in prior research. However, during periods of personal and national economic turmoil, such as the economic recession that struck the U.S. in December 2007, authoritarian parenting styles tend to increase, Schneider said. In a previous study published in the journal Children and Youth Services Review in 2016, Schneider and Columbia University professors Jane Waldfogel and Jeanne Brooks-Gunn examined the impact of personal hardships such as job losses and parents’ subjective perceptions of economic insecurity on maternal risks of child maltreatment during the Great Recession. In that study, which included 3,177 families in 20 U.S. cities, Schneider and his co-authors found that perceptions of economic insecurity directly increased mothers’ risks of abusing their children – independent of these parents’ actual financial hardships or mental health conditions. “Despite some personal hardships, these families may have weathered the recession OK, but the overwhelming sense that things were going badly had the greatest influence on spanking and harsh treatment of children in general,” Schneider said about the research, which he conducted while at Northwestern University prior to joining the U. of I. faculty.